New drivers for Skylake/Kaby Lake will support the API on Windows going forward. Intel's graphics solutions may not be the fastest kid on the block, but they're ubiquitous, coming in nearly every Intel CPU—the only exceptions being the 'enthusiast' X99 and similar platforms (eg, Xeon for servers and workstations). Last month I took Kaby Lake for a spin and decided to see how the HD Graphics 630 would handle modern games. The result wasn't too surprising, with framerates struggling in many games, but at least the drivers worked… mostly. I noted at the time that Doom Vulkan as well as a few DX12 games refused to cooperate with the HD 630. Intel informed me that they were working on a proper Vulkan driver, and that work has now come to fruition. As of the 15.45.14.4590 drivers, which support all Skylake and Kaby Lake processors, Intel has Vulkan support (1.0.33.0 API version). The drivers are also part of the latest fast ring Windows Insider build 15031. I did a quick test of Doom Vulkan and found that, yes, the drivers work as advertised. That's not to say that the Vulkan version of Doom will run faster than in OpenGL. A quick check shows identical performance (within 0.5 fps), at 1280x720 and low quality. Not surprisingly, Doom is completely bottlenecked by the graphics solution, and these low-level APIs typically only help when CPU overhead comes into play. Right now, there aren't any Vulkan-exclusive Windows games, and there may not ever be such a thing—it's hard to predict the future. In fact, there are only nine currently available Vulkan games with two more that plan to add support (according to Wikipedia). But whatever happens, at least Intel's graphics team is ready to support Vulkan. As a cross-platform API, this will also have potential ramifications on other non-Windows platforms (eg, Android tablets). Note that Vulkan support is only available on 6th and 7th Generation Core products at present. 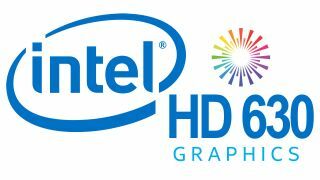 I don't expect Intel to attempt to provide support for earlier graphics solutions like those in Broadwell and Haswell (5th and 4th Gen), due to changes in the graphics capabilities.